MOLD. . .What Is It All About? Many people still don’t fully understand the health hazards of mold exposure. The term ‘toxic mold’ is somewhat misleading. It suggests that certain molds are toxic. While molds and mold spores do make people sick, the dangerous culprits are the secondary metabolites (chemicals) made by molds that are toxins. The correct term is mycotoxins. Airborne mycotoxins can definitely destroy one’s health. Mold…What Is it All About? Approximately 25 million Americans suffer from allergic reactions to molds. Yet most of them don’t even realize that the sneezing and sniffling they are experiencing could be caused by mold. Common ailments from mold—including allergies (hypersensitivity after initial toxicity), and excessive bruising—usually can be treated and reduced after people leave their contaminated environment. Molds that produce airborne toxins can cause serious symptoms, such as breathing difficulties, memory and hearing loss, dizziness, flu-like symptoms, and acid reflux. Often medication, diet, and other treatment protocols are necessary. But, other health problems may remain permanently, such as brain damage and weakened immune systems. Eyesight, memory, coordination/balance, and hearing are generally the most common residual effects that often do not improve after treatment. However, individuals who have been exposed to dangerous molds such as Stachybotrys or Chaetomium could suffer from a myriad of serious symptoms and illnesses. Exposure can lead to conditions such as chronic bronchitis, brain fog, learning disabilities, mental deficiencies, heart problems, cancer, multiple sclerosis, chronic fatigue, lupus, fibromyalgia, rheumatoid arthritis, multiple chemical sensitivity, bleeding lungs and much more. Molds can be found wherever there is moisture, oxygen, and something to feed on. In the fall, they grow on rotting logs and fallen leaves, especially in moist, shady areas. In gardens, they can be found in compost piles and on certain grasses and weeds. Molds grow in our homes in moist warm areas like damp basements, closets, and bathrooms, even after the moisture has dried up. Also, molds can grow in places where fresh food is stored, refrigerator drip trays, house plants, humidifiers, garbage pails, mattresses, upholstered furniture, or foam rubber pillows. The worst place that molds can grow, however, is inside wall cavities and under flooring in our homes where there are cellulose materials. Molds love to thrive on wood, ceiling tiles, and Sheetrock that have sustained water damage. Remember, this mold growth does not have to be visible to make you sick. Hidden mold is very common if there has been a plumbing or roof leak. Actually, any type of water damage can cause a mold problem. Mold and cellulose eating insects are often partners in crime in water damaged portions of your home. Due to similar conditions required for each to thrive, the presence of one may indicate the other. As previously stated, many people are either unaware, ignorant, or in denial about the severe health hazards involved with some types of indoor household molds. Molds come in thousands of different varieties, but a few who are some of the offenders that invade our homes. Alternaria and Cladosporium are the molds most commonly found both indoors and outdoors throughout the United States. 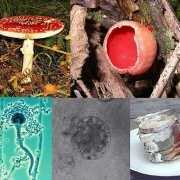 Aspergillus, Penicillium, Helminthosporium, Fusarium, Mucor, Rhizopus, and Aureobasidium are also common. One of the mycotoxins, aflatoxin, is produced by the fungi Penicillium, Aspergillus flavus and Aspergillus parasiticus. Four different aflatoxins, B1, B2, G1 and G2, have been identified, with B1 being the most toxic, carcinogenic and prevalent. Another very dangerous family of toxin producers is Fusarium. The toxins zearalenone, trichothecenes or moniliformin can be formed by various types of Fusarium including F. moniliforme, F. oxysporum, F. culmorum, F. avenaceum, F. equiseti, F. roseum, and F. nivale. The most dangerous mold strains are: Chaetomium(pronounced Kay-toe-MEE-yum) and Stachybotrys chartarum (pronounced Stack-ee-BOT-ris Char-TAR-um) as they have been proven to produce demyelinating mycotoxins among others, meaning they can lead to autoimmune disease. Under certain growth and environmental conditions, both of these fungi release toxic, microscopic spores and several types of mycotoxins. These chemicals cause the worst symptoms, which are usually irreversible such as neurological and immunological damage. Some of these natural mycotoxins include a very strong class known as trichothecenes. Trichothecenes are also produced by several common molds including species in the genera Acremonium, Cylindrocarpon, Dendrodochium, Myrothecium, Trichoderma, and Trichothecium. The trichothecenes are potent inhibitors of DNA, RNA, and protein synthesis, and have been well studied in animal models, because of concern about their potential misuse as agents of biological warfare, due to their ability to destroy human health (mentally and physically), and never appear in an autopsy. Mycotoxins are examples of chemical substances that molds create generally as secondary metabolites, thought to possibly play a role in either helping to prepare the substrate on which they exist for digestion, as defense mechanisms, and some have suggested that they may be produced when the organisms are under stress, which could be related to competition/defense, or simply due to inhospitable environmental conditions. Mycotoxins, which are also neurotoxins (a toxin that is determined to cause neurological damage), most commonly reach people from the air, via spores from the molds in question. They are also found in small particulates at times which may often represent mold dust, small particles of mold that has dried and turned to dust. Spores, when inhaled, can begin to colonize in the sinuses and throughout the body, including the brain, lung and gut after a period of time. Sick buildings are one of the major causes of fungal illness, primarily mycotoxicosis or systemic fungal disease. The United States is the least developed in fungal illness research and assistance to the community due to the high costs and fear of reprisals. So, sadly, most American physicians have little or no education in treating this health crisis. The average American physician knows only how to identify a mold hyphae under a microscope, at best. due to the fact that the pharmaceutical industry funds the medical schools. Mycotoxicosis, often mistakenly called “Toxic Mold Syndrome” out of ignorance, has reached epidemic proportions at a national level in the United States due to defective construction, lack of regular maintenance, shoddy and inappropriate building materials, ignorance, and lack of government involvement; all or in part due to the high costs of standard and substandard remediation. The disturbing factor about airborne mycotoxins is that it is impossible to know how much damage they have caused to one’s health until it is too late. Therefore, It is imperative to avoid exposure for even brief periods of time in any place that smells moldy or has an appearance of mold or mildew. If you suspect that the air quality in your home is being compromised by mold spores you can have the air tested. Mold testing costs vary, it’s worth the investment if the information helps save your health. Mold also needs an organic source of food. People might be confused as mold can grow on glass, fiberglass, tile, stainless steel, cookware, etc., but it is generally feeding off of some organic source deposited on this material (oils, film, dirt, skin cells, etc.). Mold loves to grows on things such as wood, fabric, leather, gypsum, fiberboard, drywall, stucco, and many insulation fibrous materials. All molds require some form of moisture to grow. However, like temperature, the amount of moisture varies for different species. Some molds are xerophillic (colonize under very dry conditions), some are xerotolerant (colonize under a wide range of moisture levels), and some are hydrophilic (colonize at high moisture levels). You do not have to be a leak to find mold. Humidity or moisture content of the substrate can often be sufficient (relative humidity at 50% or higher can becoming problematic in many indoor cases). And of course, mold can spread very easily through any HVAC system, on your clothes and shoes and by just floating through the air. Some molds are cryophytes (these adapt to low temperatures), some are thermo tolerant (they adapt to a wide range of temperatures) and some are thermophiles (they adapt to high temperatures). Depending on the species, these microbes will grow just about anywhere. Not even a fire in excess of 500 degrees Fahrenheit has been able to destroy some molds such as Stachybotrys. Mold requires a compatible temperature for each species. Environmental factors (temperature, nitrogen, oxygen, etc. ) are necessary compounds for indoor molds to thrive. Sick buildings are one of the major causes of fungal illness, primarily mycotoxicosis or systemic fungal disease, in industrialized nations today. The United States is the least developed in fungal illness research and assistance to the community due to high costs and fear of reprisals. So sadly, most American physicians have little or no education in treating this health crisis. The average American physician knows only how to identify a mold hyphae under a microscope due to the fact that the pharmaceutical industry funds some medical schools. Mycotoxicosis, often mistakenly called “Toxic Mold Syndrome” out of ignorance, has reached epidemic proportions at a national level in the United States due to defective construction, lack of regular maintenance, shoddy and inappropriate building materials, ignorance, and lack of government involvement. These problems are all or in part due to the high costs of standard and substandard remediation. This illness has been so misunderstood. Some who profit from the misfortunes of these poor individuals even claim that there is no evidence to prove that mold can cause permanent neurological, psychological, immunological and pathological damage. Research shows a direct causative correlation despite the medical data from well respected physicians all over the world. Unfortunately, the government has failed to establish guidelines that determine standards for poor indoor air quality in homes, making it impossible for thousands of sick people to obtain help during this looming national health crisis. This problem is the main reason why so many people are confused about the damage mold can cause. Mold-Help.org contains important, often critical information you need to know about this national health crisis including scientific literature, symptoms, treatments, associated illnesses, related articles, news stories, suggested resources and services on several subjects regarding mold. Mold-Survivor.com (currently receiving a face lift), offers related mold information and resources. The information on this website is disseminated as a service without profit to assist individuals suffering from mold sickness. We welcome your comments, suggestions, and stories. Your input is a valuable part of our success. This site is not intended to give medical advice. 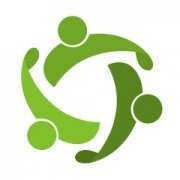 Seek the advice of a professional for diagnosis, medication, treatment options, and complete knowledge of any illness. The opinions expressed here are exclusively our personal opinions and those of contributing authors; thus may not necessarily reflect our peers or professional affiliates. The information here does not reflect professional advice and is not intended to supersede the professional advice of others. 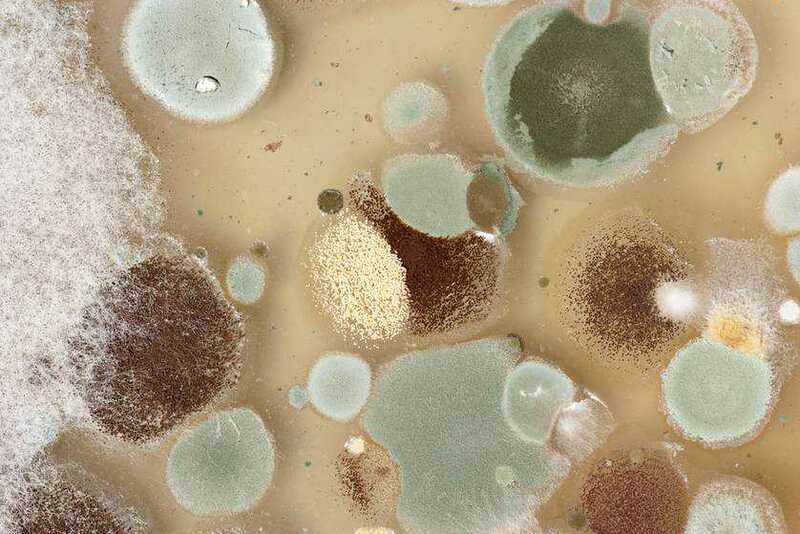 https://www.mold-help.org/wp-content/uploads/2013/01/different-types-of-mold.jpg.838x0_q67_crop-smart.jpg 559 838 Carolyn Willbanks https://www.mold-help.org/wp-content/uploads/2019/03/moldhelp-654x300.png Carolyn Willbanks2013-01-28 00:00:002019-04-05 14:16:04MOLD. . .What Is It All About?